Wallets. Who needs ’em? Bank of America is teaming up with Visa for a smartphone-as-credit-card pilot test in New York next month. Using a smartphone or cellphone as a credit card has been in practice for years in Japan and South Korea, but us backwards yokel-type Westerners are still using actual slivers of plastic to make transactions. How very 20th century! There’s been lots of talk about adopting a similar system here in the States, but Bank of America’s pilot program is the first major one to be launched. Bank of America is partnering with Visa for the pilot program, which will run from September until the beginning of January in New York. 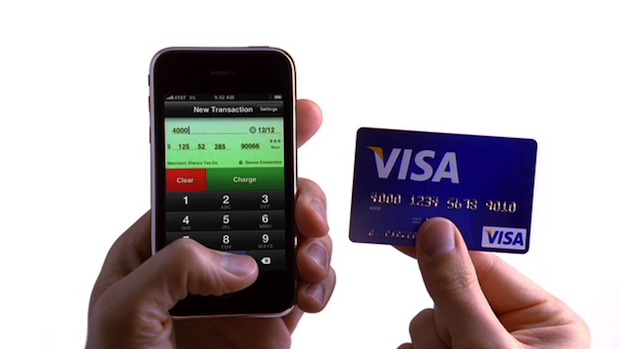 Visa will supply small chips, possibly of the RFID variety, that users can install into their phones. The users can then complete transactions by simply waving their phones near the point-of-sale devices Visa will also supply to select stores. And, most importantly, how serious is BoA and Visa about the pilot? What are the chances of this turning into a real, widely adopted system? Netiher BoA nor Visa would answer any of these questions, but the level of publicity and the size of the trial make me think that the companies are very serious about the possibilities of this kind of transaction. It’s about time–other companies have been moving in this direction for a while, including Apple and Square.